I just came across a lovely new blog: The Napping House , And I found this great post about another creative idea for little boys. 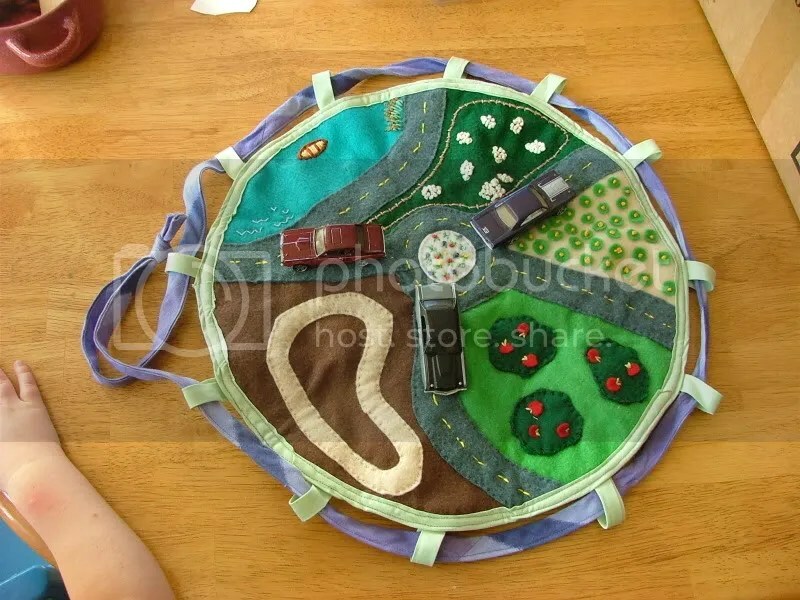 The writer of The Napping House created a Felt Car Mat, that draws up into its own bag, so that you can carry it, cars and all, with you when you go places. Just perfect when you have to go and wait somewhere: the doctors, for example. I’m not an original crafter. I’m no good at thinking up new and ingenious crafts that will take your breath away. I’m good at looking at ingenious crafts and getting my breath taken away, and I’m good at taking crafts I see and tweaking them to fit my style and needs. That’s how this one was born. Of course, I have thought about felting it. You could also try fabric painting it – and I believe this would be more durable than felt, that tends to pill and stretch with long use. You could quilt it. There are so many amazing fabrics that would be perfect to use for a projects such as this. I seriously thought of not sharing this idea, and creating a little felt car playmat masterpiece and wowing my friends who are mothers of little boys … but credit where credit is due. I love this idea … I think my own little guy might be too big for it now, but I do know many others who’d enjoy it. I love this. 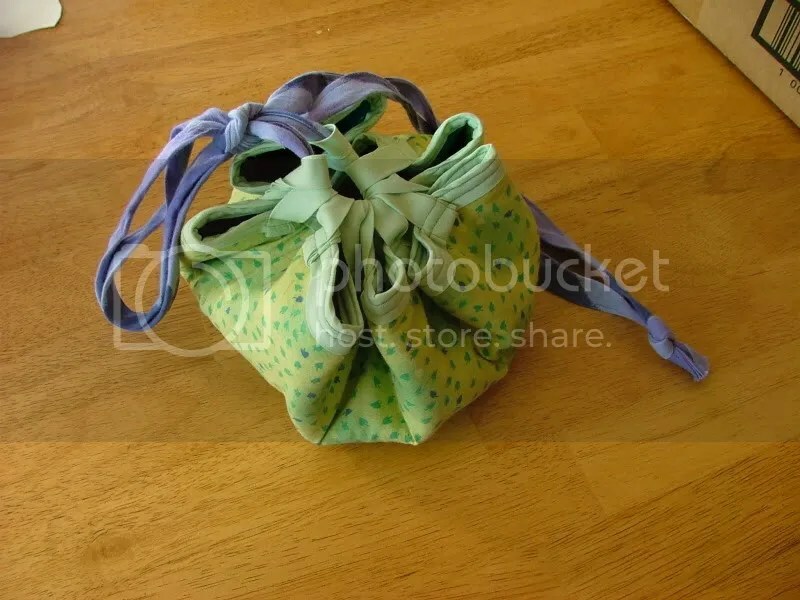 When your back to crafty jen I would love to come and get some tips on putting one of these together for Toby.